Once again we will be honoring our Collect-a-Million Club members who collect and donate one million pull tabs. The Club is named in honor of Morgan Stock, who donated barrels and barrels of pull tabs at the 2016 inaugural Palooza event and again in 2017 and 2018 in order to raise awareness for children impacted by various medical conditions. Sign up online to be a member or at the event. School groups are welcome and encouraged to attend! During Pull Tab Palooza 2018, the final weight donated was 5,087 lbs, and at $.45/lb, the final monetary amount donated was $2,289.15! That's more than 5.08 million pull tabs! Let's #PullTogether to make our 4th Annual Pull Tab Palooza an even greater success! Learn more about our Pull Tab Program. — Frank Sullivan, Chairman and Chief Executive Officer, RPM International Inc. 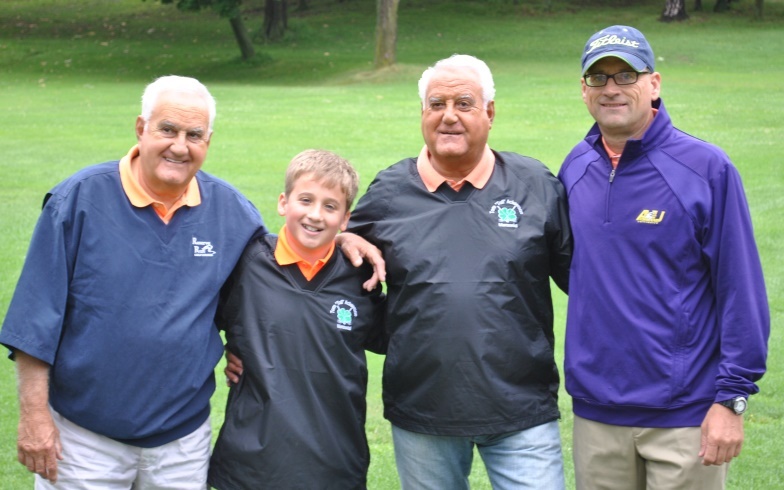 The Ronald McDonald House Pro-Am Golf Tournament is proudly the single largest and longest running event to support the Ronald McDonald House of Cleveland. 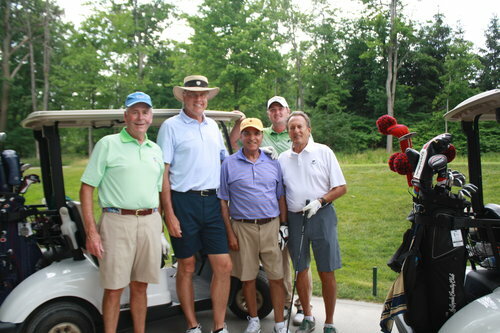 Known nationally as Northeast Ohio’s most prestigious charity golf event, Pro-Am welcomes 120 field amateurs - our city’s top CEO’s, presidents, and corporate owners - for the exclusive opportunity to play 9 holes with a PGA touring pro and 9 holes with a PGA local-club pro. 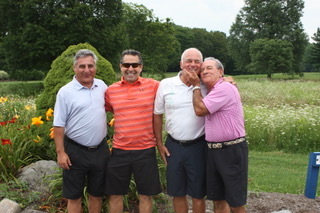 The day commences with a private breakfast for the field where the PGA professional is interviewed and then randomly selects the foursome he/she plays with on the beautiful Mayfield Sand Ridge Country Club course in South Euclid. 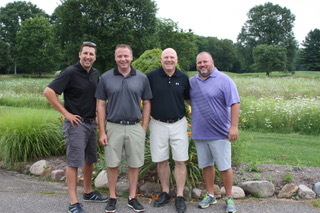 Funds raised over the years from this event have made a significant difference in the lives of the Ronald McDonald House of Cleveland families. 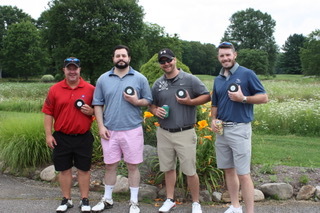 Please consider joining us in 2019 as an Underwriting or Corporate Sponsor. 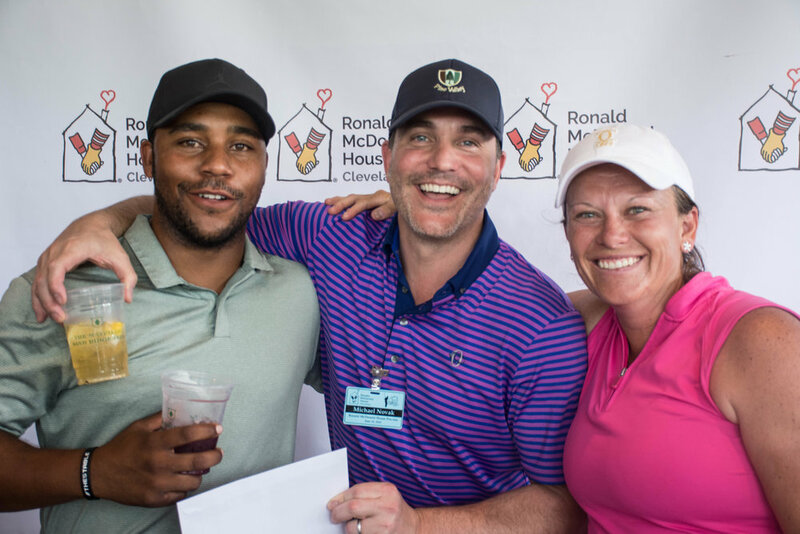 To secure your sponsorship in the 40th Ronald McDonald House Pro-Am, email Claire Donovan, Events Manager, or call 216.229.5757 x1120. Gather your friends, cheer for your horses and flaunt your Derby finery! Treat yourself to an exhilarating evening of filmed horse race excitement, food and drink at the 7th Annual A Night at the Races presented by SITE Centers. Thanks to our community supporters, all tickets have been sold! Be sure to find our volunteers at the game to purchase 50/50 raffle tickets for a chance to win! Partial proceeds from the sale benefit the Ronald McDonald House of Cleveland. 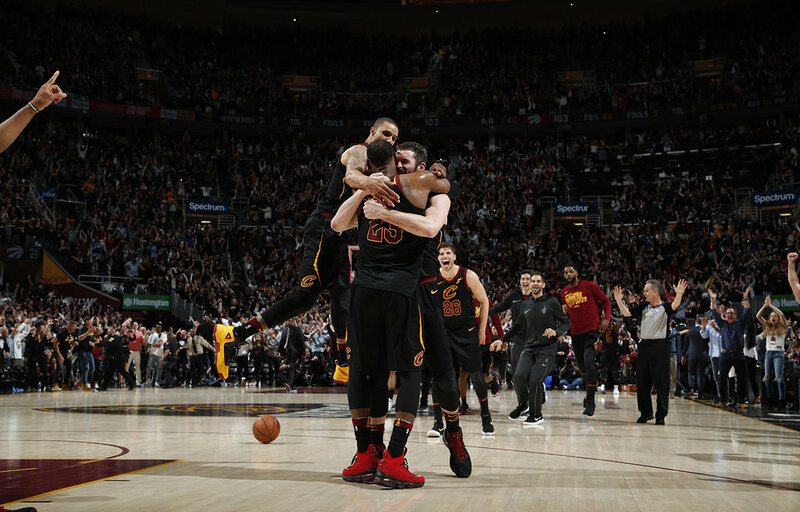 Help us Pack The Q as your Cleveland Cavaliers take on LeBron James and the Los Angeles Lakers! 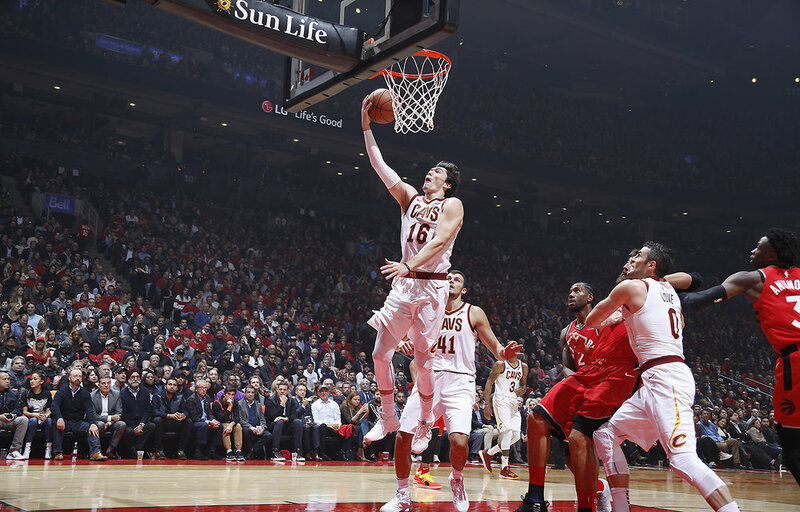 Get close to the action on the court when you purchase lower level tickets through us. Tickets are limited! Don’t miss your chance to see the CAVS face Ohio’s own LeBron James and the Lakers during his one and only return home this season. The game is Wednesday, November 21st at 8:00 pm. Tickets are ONLY $135 (less than half the price you can buy anywhere else!) each and must be purchased in pairs. All proceeds benefit the Ronald McDonald House of Cleveland. There are no additional ticket fees. Seats are located in sections 100, 101. All tickets will be issued via Flash Seats and will be transferred via email to the email address provided during checkout beginning Wednesday, Nov. 14th. Join us for the Ambassador Council Golf Outing to support the Ronald McDonald House of Cleveland! 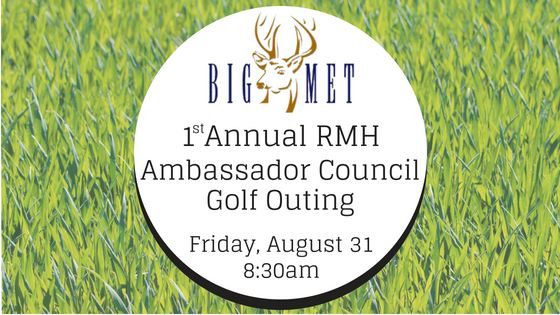 This inaugural event will take place at Big Met Golf Course on Friday, August 31. 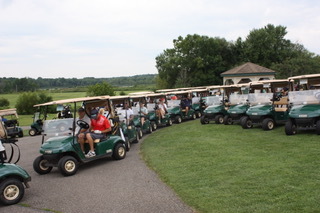 Includes 18-hole scramble, cart, light breakfast, luncheon, contests, and prizes! Registration deadline is Friday, August 24 at 5:00PM. Your sponsorship directly supports families staying at RMH! Includes logo on all tournament correspondence (newsletter, social media posts, RMH event page, registration page), logo on all holes and carts, event Facebook page advertising, RMH Facebook page advertising, display name at registration and awards ceremony, 8 playing spots. Includes logo on one hole and cart, event Facebook page advertising, RMH Facebook page advertising, display name at registration and awards ceremony, 4 playing spots. Includes logo on one hole and cart, event Facebook page advertising, display name at registration and awards ceremony, 2 playing spots. Includes logo on one hole and cart, name at awards ceremony, event Facebook page advertising, 1 playing spot. Includes logo on one hole and cart. In the event of inclement weather, your non-refundable registration for the golf outing will be rescheduled to a future date. 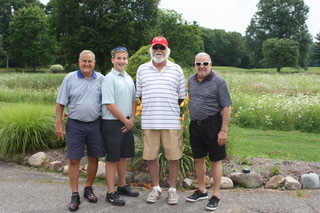 Funds raised over the years from this event have made a significant difference in the lives of the Ronald McDonald House of Cleveland families. Please consider joining us in 2018 as an Underwriting or Corporate Sponsor. To secure your sponsorship in the 39th Ronald McDonald House Pro-Am, complete your registration below. Come support the Ronald McDonald House. Enjoy live music, good food, and unlimited drinks at Barley House in downtown Cleveland! Win great prizes such as two tickets to see Hamilton at Playhouse Square, a Yeti cooler filled with booze, and more! Enjoy drinks prepared by celebrity guest bartenders! Purchase your registration today! Buy your raffle tickets when you preregister and enjoy special pricing. Prizes include Hamilton tickets, Yeti cooler filled with an assortment of booze, and raffle baskets of Indians tickets, golf packages, and more. Winner does not need to be present to win the Yeti Booze Cooler or Hamilton Tickets. Unable to attend but still want to support the event and the Ronald McDonald House? Donate to support our mission to keep families close when it matters most! Join us at the Ronald McDonald House of Cleveland for our 3rd Annual Pull Tab Palooza! Visit with our adorable pet therapy partners, nibble on tasty treats, create art with sidewalk chalk, partake in our gift basket drawings and more! Once again we will be honoring our Collect-a-Million Club members who collect and donate one million pull tabs. The Club is named in honor of Morgan Stock, who donated barrels and barrels of pull tabs at the 2016 inaugural Palooza event and again in 2017 in order to raise awareness for children impacted by various medical conditions. Sign up online to be a member or at the event. During Pull Tab Palooza 2017, the final weight donated was 7,640 lbs, and at $.44/lb, the final monetary amount donated was $3,361.60! That's more than 7.64 million pull tabs! Let's #PullTogether to make our 3rd Annual Pull Tab Palooza an even greater success! And they're off! Treat yourself to an evening of excitement at the 6th Annual A Night at the Races. Enjoy fast-paced, fist-clenching, photo-finish filmed horse racing at its finest. Brag to your friends that you have the fastest steed! Purchase and name a horse for just $25. Don't delay! We have a limited number of horses to name this year. Thank you to our Hospitality Sponsors. Do you have what it takes to TACKLE THE TOWER? Join more than 1,000 people of all ages as they tackle the stairs of the historic Terminal Tower. Events include a timed race, Fun Walk, Kids Climb, Elite Runner Race, and Team Challenge to promote health and well-being in the workplace. All climbers finish at the Terminal Tower Observation Deck, one of the best views of our beautiful city! That's 42 floors totaling 802 steps! Make sure to stay and cheer on firefighters in full gear and our favorite sports team mascots as they race up the stairs. Additional fundraising is encouraged and rewarded. Create your own personal fundraising webpage and invite your friends and family to pledge their support as you Tackle the Tower! Raise at least $150 and receive a waterproof jacket with microfleece lining. Race Day Registrants will start after the LAST preregistered runner. Please check the start times when they are posted so you have an idea of when you may start. Runners will choose a group during the registration process. Start a race team in one of three divisions: Female, Male, or Co-Ed. All teams must have four members. Co-Ed teams must be two females and two males. Awards will be given to top overall females, overall male, and overall firefighter and top three teams in each division. All awards will be mailed after the event. Online registration will close Friday, February 2, 2018 at 9 am. Join us at the Ronald McDonald House of Cleveland for our 2nd Annual Pull Tab Palooza! The event is free, outdoors, and open to the public. Visit with our adorable pet therapy partners, enjoy a magic show with Ronald McDonald, nibble on snacks, create art with sidewalk chalk, and win prizes! This year we will be honoring our new Collect-a-Million Club members. It is named for Morgan Stock, who donated barrels and barrels of pull tabs at the 2016 event. Sign up online to be a member or at the event. School groups are welcome and encouraged to attend. In 2016, the public donated more than 4,600 lbs of pull tabs totaling $1,600 in pull tab donations. Let's #PullTogether to make our 2nd Annual Pull Tab Palooza an even greater success! And they're off! Treat yourself to an evening of excitement at the 5th Annual A Night at the Races, presented by Windows on the River & Jacobs Pavilion at Nautica. Enjoy fast-paced, fist-clenching, photo-finish filmed horse racing at its finest. THIS EVENT AND ALL HORSES ARE SOLD OUT! Do you have what it takes to TACKLE THE TOWER? Join more than 1,000 people of all ages as they tackle the stairs of the Galleria Tower at Erieview. Events include a timed race, Fun Walk, Kids Climb, and Team Challenge to promote health and well-being in the workplace. All preregistered participants are guaranteed a t-shirt. Celebrate Tackle's 15th anniversary! Raise $150 and receive a commemorative gift. New in 2017! An elite runner category for our fastest participants. Runners are lined up in the order entry was received and start every 10 seconds. Order and times will be posted online on February 3. Same-day registration racers will start after the last preregistered runner.